I have been a huge fan of Betty White since she was on the Golden Girls (only the best TV show ever) and I love that at 89 years old she is still acting and is as funny as ever. 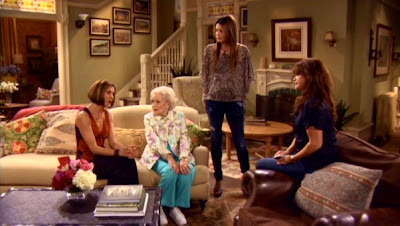 So of course I watch her new TV show, Hot in Cleveland which happens to be set in a very cute house. 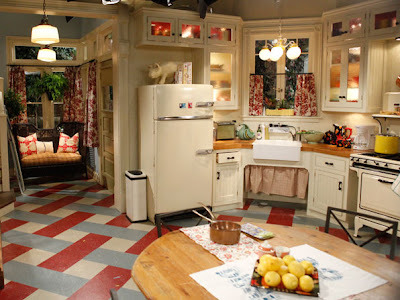 Check out the Hot in Cleveland house; I love its cozy, comfortable, and eclectic decor. 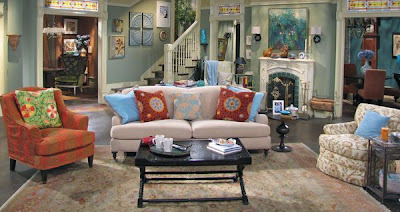 In the first season of the show, the living room had a mix of new furniture with funky old pieces. In season two, the living room got a more refined look, but is still a little funky with a mix of furniture that looks like it was collected over time and lots of bright pillows and fun accents. 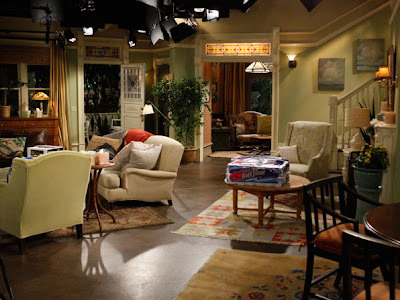 Doesn't it look like an old friend's house where you can make yourself feel right at home? 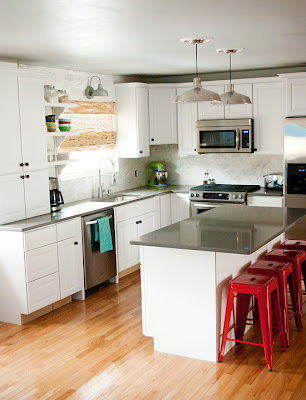 The kitchen is cute too and has a charming country farmhouse look. 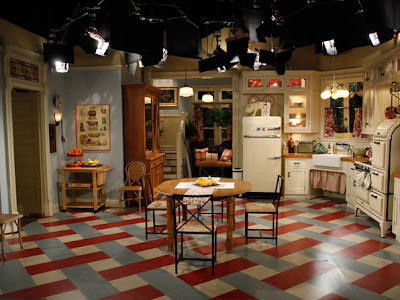 I recognize those kitchen chairs from Ikea. 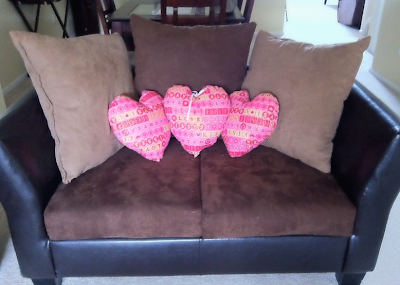 I love the mismatched furniture in here too. 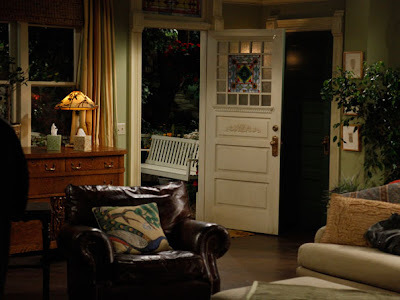 The Hot in Cleveland "house" also has a pretty and inviting front porch. I'd love to sit out there with a glass of lemonade. 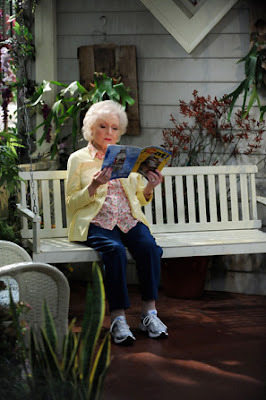 And of course hang out with Betty White! 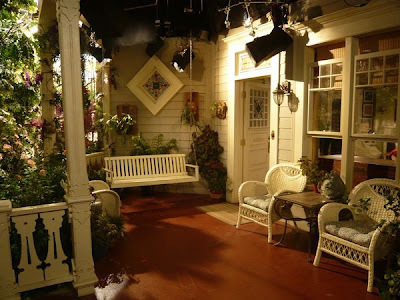 I love when TV shows sets look realistic and like someone's actual house (like in Cougar Town too). 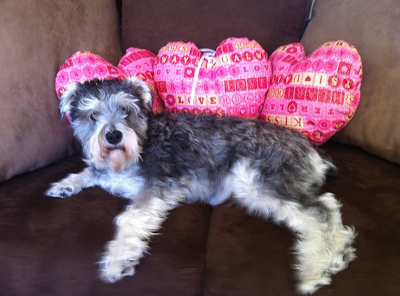 Do you have a favorite TV show "house"? There might still be a few inches of snow outside, but I'm already in the mood for spring! Last week, I went shopping at the Christmas Tree Shops (one of my favorite home decor stores) during an unseasonably warm 68 degree day. Big mistake- I wanted to buy every piece of spring merchandise in the store. I restrained myself mostly, but I did leave with a few things. Namely, the thought of spring gardens tempted me too much and I bought these herb growing kits. For $3 bucks I picked up both the oregano and cilantro grow kits which came with a plastic pot, growing material, and seeds. Similar to my amaryllis kit, once I poured water on that little disc of growing material it absorbed all of the water and filled the pot with planting material. Prior to adding the potting soil, I used my cordless drill to drill a few holes into the bottom of the pot for better drainage. Then I just added the seeds and in a few weeks I will hopefully have some sprouted seeds which I can move outside once spring actually comes along. Until then, we play the waiting game! Any tips for growing an indoor herb garden? 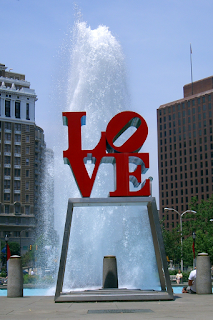 Z Gallerie! There are no Z Gallerie stores anywhere near I live, so this was the first time I've ever visited this decorating dream in person. As soon as I walked into the store, I saw this stunning teal living room set up. It was just gorgeous! The "room" looked so elegant and rich with bold teal furniture and chocolate and silver accents. I picked up a few holiday gifts while I was in the store, but unfortunately because we had limited suitcase space (and the airline checked luggage fees would really have started to add up if I took the entire store home like I wanted) I didn’t snag anything for myself. I guess that means I’ll just have to take another trip to Florida to check out the new spring Z Gallerie merchandise? Or maybe I’ll just cross my fingers that they open up a store up North! Back in January, I picked up an Amaryllis bulb kit by Smith and Hawken at Target. The bulb kit was a steal at 75% off and was marked down to just $2.50. Yup, under 3 buckaroos for the pretty cream ceramic planter, planting material, and the actual bulb of course! But after a few weeks the bulb finally bloomed and it is Gorgeous (with a capital G)! The flowers are so stunning, I’ve had a few people ask if they were even real. Well, they’re real and they’re spectacular! It’s so nice to have this little bit of sunshine inside during the cold winter weather (especially as there are a few inches of snow on the ground again). Technically, this flower isn’t even an amaryllis, but is actually called a hippeastrum. This is my first time growing these flowers, any tips for keeping them blooming? Do you grow any winter bulbs? Back in December, I mentioned that Rob and I snuck away for a week and headed south for some warm Florida weather. But with the hustle and bustle of the holidays I didn't get to share much of my trip with you guys, so here's a belated look at our Florida vacation. For the first part of our vacation, we went to South Beach, Miami. I absolutely loved South Beach and its warm weather, beautiful beach, art deco decor, and lively atmosphere. But most of all, I loved the gorgeous beach with white sand and turquoise water! We stayed right on Ocean Avenue in South Beach at the Beacon Hotel. The Beacon Hotel was built in 1937 and still has a very 30s art deco look. Although, the hotel also had this pretty modern looking courtyard. After dealing with a New Jersey winter, it was so refreshing to see flowers in bloom! The 30s hotel structure meant the rooms (and elevators) were modestly sized, but we didn't mind. We had a very cute and clean looking room. 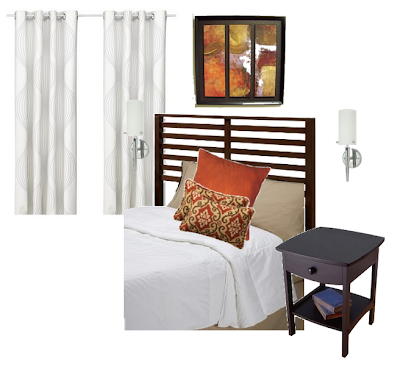 As always, I love to mock up my own version of the hotel rooms I stay in to recreate their looks. Here's how I'd recreate the look of this Miami hotel. (You can also check out my recreation of a modern hotel room in Las Vegas, traditional hotel room in San Francisco, and modern hotel room in San Fransisco). 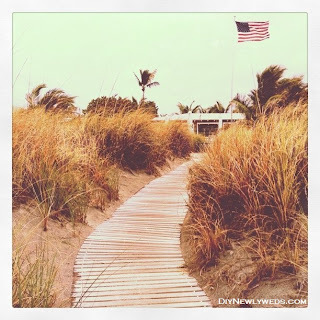 After a few days in Miami, we drove about an hour north to our next destination in Delray Beach, Florida. 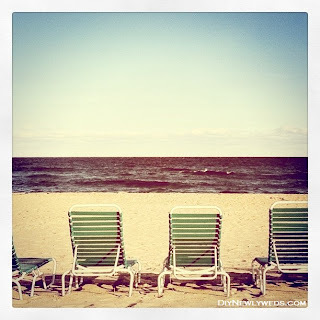 In Delray, we stayed at the Colony Hotel. The Colony is also a historic hotel built in the 1920s with a self-described "Old Florida" style. The hotel had very pretty historic details, like beautiful hardwood floors throughout the premises. We stayed in a pretty simple room with bright orange walls and traditional furniture. My favorite part of the room was the bathroom. It was all white with pretty white tiles and a white marble shelf. This vacation already feels like it was so long ago! Looking back at these photos definitely brings back great (and warm) memories though! 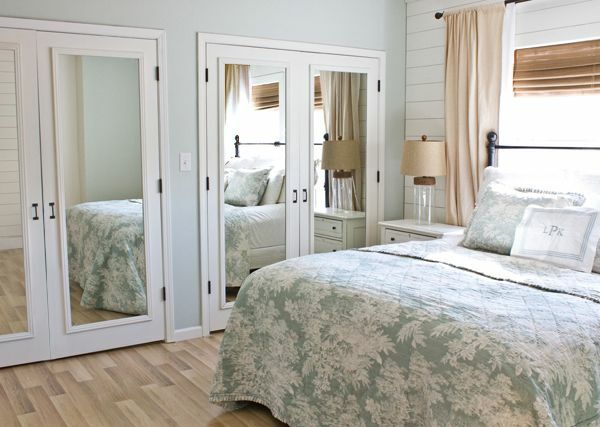 Aren't these rooms gorgeous?! Did you come across an amazing projects? Please share them by leaving a comment!